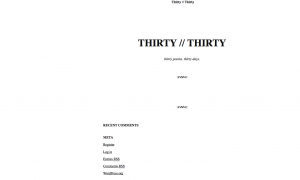 When you first come to thirty // thirty, you will likely find that not much is visible. 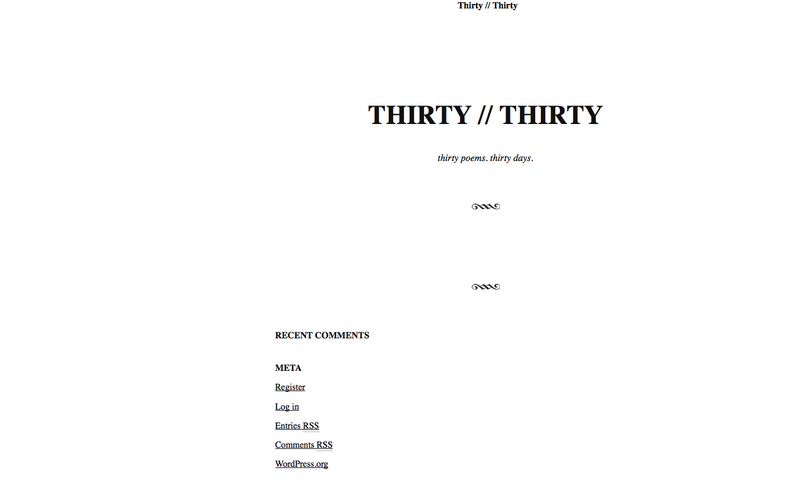 The site probably looks empty, except for some links at the bottom. 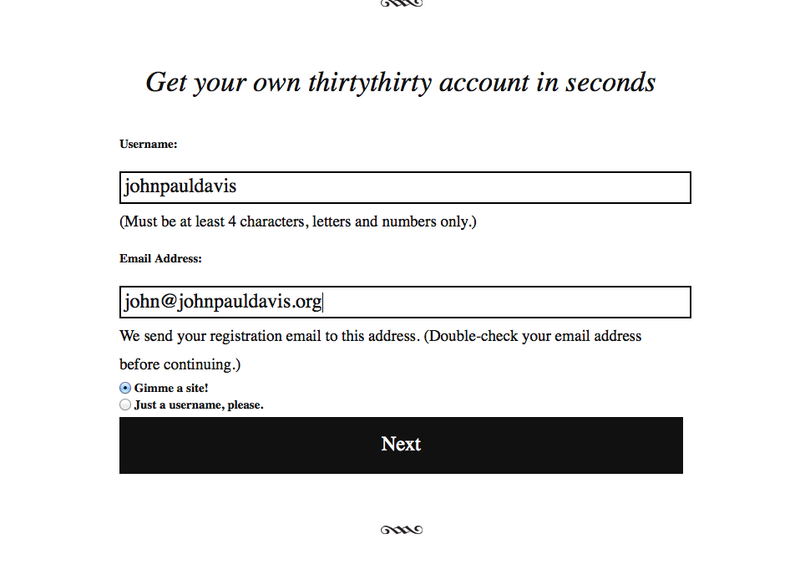 Click “Register” and register an account. 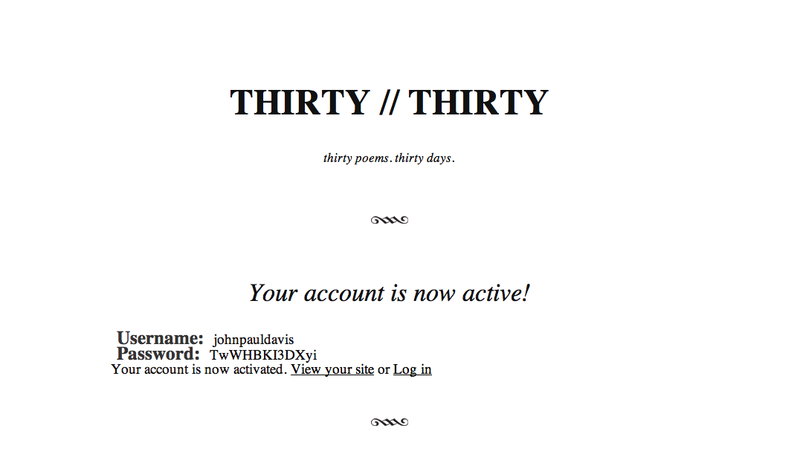 There are two basic kinds of users on thirty // thirty: Subscribers, who just want to read poems by poets who’ve allowed them access, and poets, who each have their own blog where they publish their 30/30 drafts. 2. 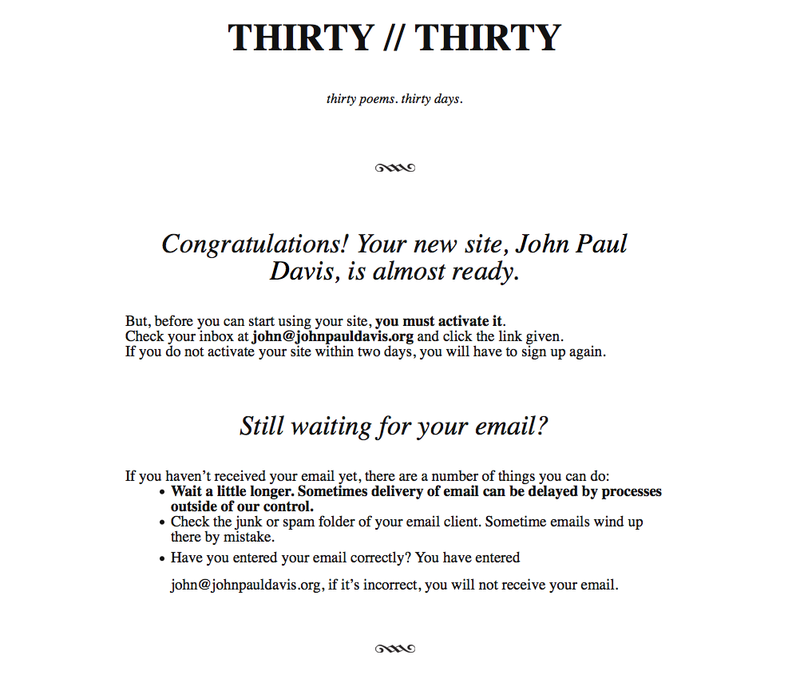 Enter your email. 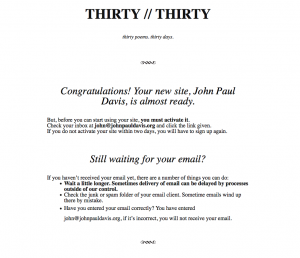 You’ll receive all correspondence from the site at this email. 3. If you want to be a Subscriber only, then when you register, you check the “Just A Username Please” option. 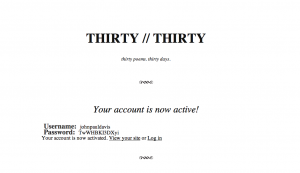 If you want to post poems on your own blog, leave the “Gimmie a site!’ option check. 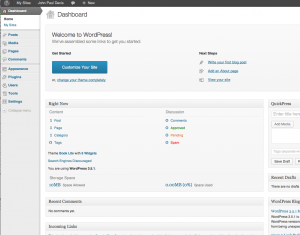 If you’re not registering a blog, you’re done! 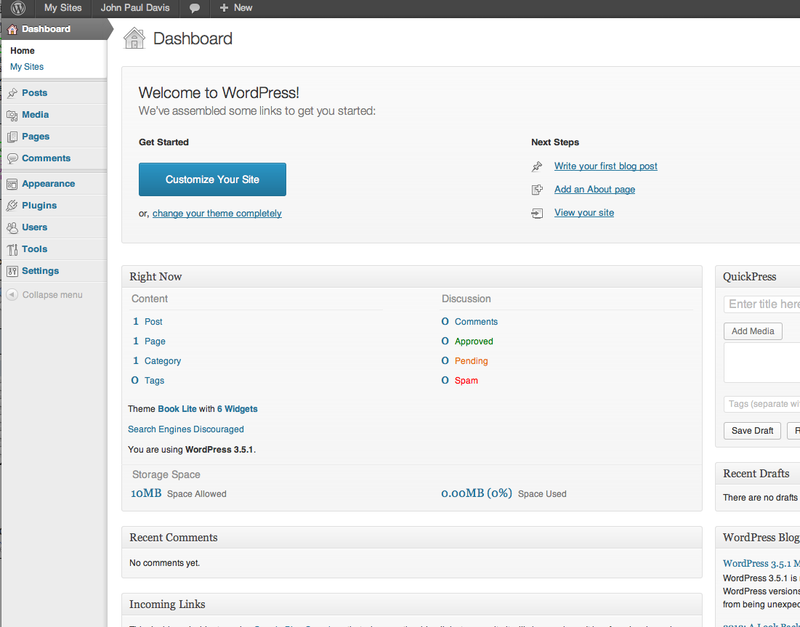 Now your site is set up! Be sure to change your password to something you can remember.